Flipagram is a free photo slideshow creator app for Android and iOS. Is it? No, there's a lot more about the Flipagram app that made it crawl up to the top charts on Google Play and App store. 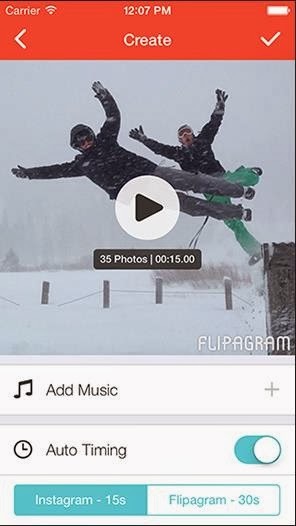 Flipagram let's you create short video stories by joining your photos together and the app is easy to use too. Just add the photos from your e name Phones gallery or from instagram. After adding the photos you can add some background music to spice up your slideshows. So you might be thinking about where to find free music to add to your videos and here is the solution. 1. Soundcloud: You can find some free music tracks to download from the creative commons section. 2. Free Music Archive: The name tells it all. 3. Last.fm: Provides some free music tracks under creative commons.